Sustainability is today’s catchword in business, even with regards to green janitorial supplies. Green Cleaning Products is a sustainable business. What exactly does it mean? In short, it is the capacity to endure. Basically sustainability is about figuring out how to meet your current needs without having a negative impact on the needs of future generations. Our world is a wasteful one. We can see this just be looking around to see the amount of excessive packaging associated with nearly everything we purchase, even with janitorial supplies. In addition more and more products are designed to be replaced, not repaired. This just clogs up our landfills. Sustainability is being used when we are seeking an economic, social and environmental balance to the benefit of all, but what does it mean in regards to green janitorial supplies and green cleaning products? Reduce first, then recycle. In the reduce, reuse, recycle triangle, recycling is actually the least desirable action item. Of course, recycling is much better than adding trash to a landfill. An example of reduction is purchasing a single ½ gallon container of concentrate green janitorial chemicals that is equivalent to 512 ready to use quarts of green cleaning products! Use nontoxic green janitorial supplies to protect the health and safety of your employees, janitors, building occupants and guests. Traditional cleaners contain petroleum-based ingredients, volatile organic compounds (VOC), and synthetic fragrances. Traditional cleaning chemicals are a major contributor to allergies, sick building syndrome, and environmental hypersensitivity. Select bio-based green janitorial chemicals and green cleaning products that are derived from biological products or renewable domestic agricultural materials (including plant, animal and marine) or forestry materials. These renewable resources reduce our dependence on increasingly scarce (and expensive) petroleum. Purchase concentrated green cleaning products that are designed to be diluted. Not only are these more cost-effective, transportation costs and fossil fuel consumption involved in transporting the products is an important aspect of reducing the overall impact on our environment. Buy biodegradable green janitorial supplies, such as the EnviroCare product line from Rochester Midland. These are designed to rapidly degrade in the environment at a rate of about 100 percent in about 15 days. Look at the packaging. There is too much plastic packaging that is being thrown away. Seek the most concentrated product in the smallest container. Use reusable spray bottles for your green cleaning products, the high quality ones. Those single use bottles are made from petroleum-based plastic and often are hard to recycle. Use microfiber cloths. 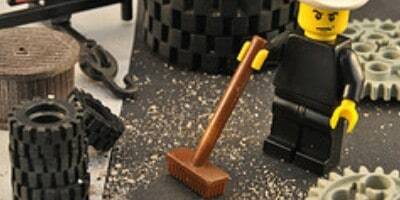 Due to the nature of the individual fibers, each is able to grab and trap the dirt which is then easily washed away. These reusable cloths are one of the greatest innovations in the world of green janitorial supplies and green cleaning products! Buy corn-based trash bags that are biodegradable. These dissolve over time and is one less type of plastic in our landfills. I also encourage you to select paper products (hand towels and toilet paper) made from rapidly renewable sources, such as sugar cane. Leverage your company by establishing strategic sustainability purchasing practices beyond green janitorial supplies that is focused on continuously improving the three P’s of sustainability (People, Plant and Profits) in your operations. It is easy to purchase green janitorial supplies that work well and are cost competitive. In addition to enhancing the health and safety of you and your loved ones. Sustainability oriented decisions today will protect our planet tomorrow.